Eclipse the bus-riding dog makes her fellow passengers' commutes a little more interesting. 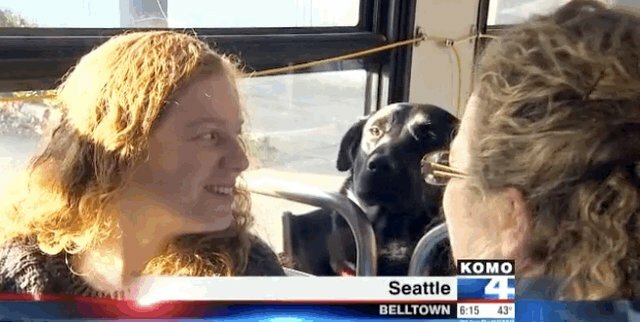 According to this news story out of Seattle, Wash., the black lab and bull mastiff mix regularly rides the bus to the dog park all by herself. She knows how to board the bus at the stop closest to her house, politely hop up into an empty seat and disembark at her favorite dog park a few stops away. Eclipse didn't always hit the road alone. 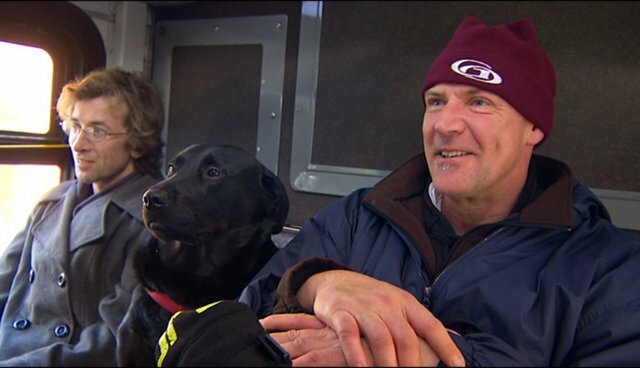 Her owner, Jeff Young, told local news outlet Komo 4 that they used to go to the dog park together. But Eclipse didn't like waiting for Young to finish his cigarettes before getting on the bus, so she started leaving without him. "We get separated," Young said, "She gets on the bus without me, and I catch up with her at the dog park." According to this report, bus conductors and passengers alike are just tickled by Eclipse's independance. She's incredibly intelligent and well-behaved, and sits through the ride "just like a person does," according to one commuter. But just because some dogs can navigate mass transit on their own doesn't mean they should. Cities are built for humans, not dogs, and even the smartest pups can stumble into potentially dangerous situations, like this husky who found herself battling a storm drain. Now that Eclipse has made the news, she'll have a whole city looking out for her. For now, it seems like she'll keep on riding the bus whenever she wants, or at least until they make her start paying.